How can I change the name of an activity pack? To change the name of one of your activity packs, go to the "My Activities" tab and select "My Activity Packs." Under this, you will see all of your activity packs listed. 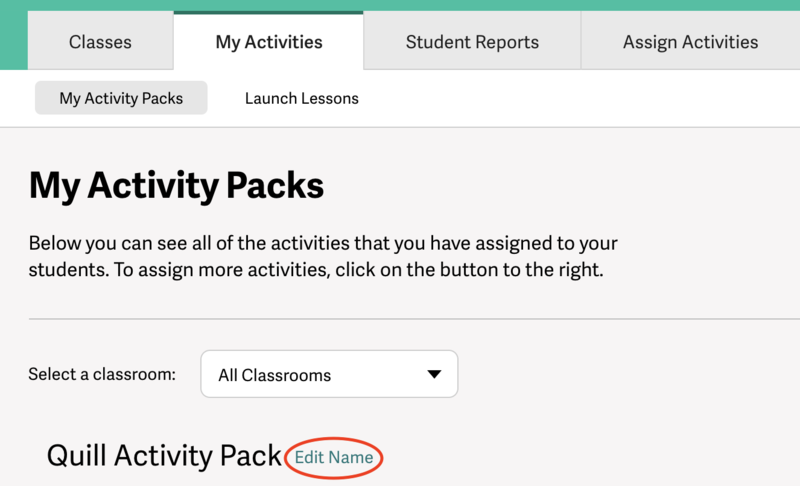 Next to the name of each activity pack, there is an "Edit Name" option. Select this to change the name.